SUNRISE, Fla. – Florida Panthers General Manager Tom Rowe announced today that the Panthers have signed forwards Colton Sceviour (SEE-vee-yuhr) and Jonathan Marchessault (mahr-SHUH-soh) to two-year contracts. As per club policy, terms of the deal were not disclosed. The 27-year old Sceviour recorded 23 points (11-12-23) in 71 games with the Dallas Stars during the 2015-16 season. He played in 11 playoff games for Dallas, recording two goals and three assists. The 6-foot, 195-pound native of Red Deer, Alberta has posted 62 points (28-34-62) in 170 NHL games and eight points (3-5-8) in 17 playoff games with the Stars (2011-16). Sceviour was originally selected by Dallas in the fourth round (112th overall) of the 2007 NHL Draft. The 25-year old Marchessault recorded 18 points (7-11-18) in 45 games with the Tampa Bay Lightning during the 2015-16 season. 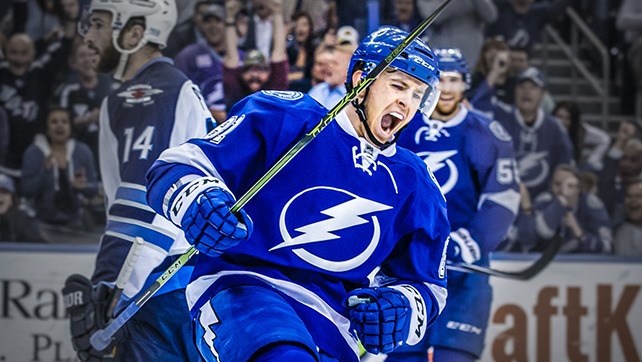 He appeared in five playoff games for the Lightning recording one assist. The 5-foot-9, 174-pound native of Cap-Rouge, Quebec has played in 49 NHL games with Tampa Bay (2014-16) and the Columbus Blue Jackets (2012-13), recording 19 points (8-11-19). Marchessault was named a First-Team AHL All-Star in 2012-13 when he recorded 67 points (21-46-67) in 74 games with the Springfield Falcons.